Cannon Pt is a small peak offering good views right down the Hutt Valley to Wellington Harbour in the distance. At only 2-3 hours for the round trip, and with pleasant seating at the trig, Cannon Pt is a great peak to bag for those looking for a picnic spot with the kids. 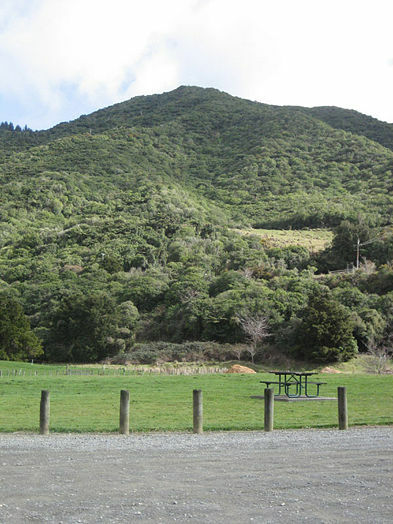 By Car The starting point to Cannon Point walk is from the Tulsa Park car park, which is accessed from the roundabout which connects Totara Park Rd and California Drive, in the suburb of Totara Park, Upper Hutt. From Wellington central railway station, take the Upper Hutt line and get off at the Upper Hutt station. Trains run at least every half hour 7 days a week. From the train station you can catch Bus 111 to Totara Park (hourly Mon to Sat) which passes right by Tulsa Park. See MetLink for more information. Taxis are also likely to be available at the Upper Hutt train station. The walk starts from Tulsa carpark. First head across the field toward the track at the base of the hills. Go straight up the track that points to Cannon Point Trig. At the beginning of the walk you will pass two roads which cross the path, but do not turn off on either of these roads, simply continue up straight up the hill toward the trig. The path to the trig is well formed, with gravel covering the track, however it can get muddy if the weather has been wet or it is winter. The climb toward the trig is steep and requires some exertion. Most of the walk up the hill is under bush cover. Near the top the bush cover lessens and you come out into a cleared area. Shortly you come to a junction where the paths split off in several directions – continue following the signs to Cannon Point trig which is only a short distance from the junction. At the trig there are good views of the Hutt Valley and Wellington Harbour on a clear day. A seat is positioned alongside the trig so that walkers can have a rest or have a snack. On the way back take the second path down (the path that you did not come up originally). This path continues through bush for a short distance and eventually connects with a well formed gravel 4wd road. 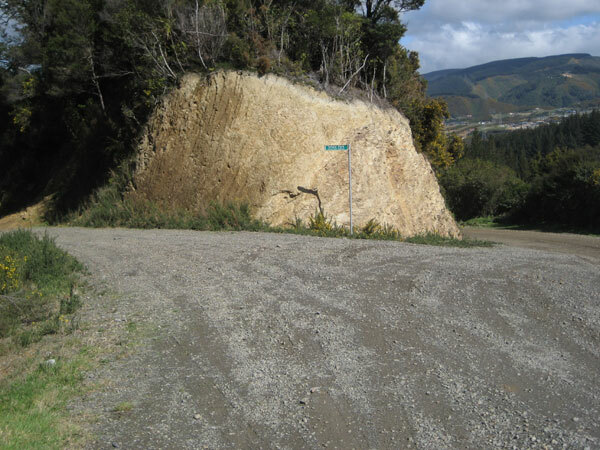 Continue to walk downhill, down the gravel road, until you reach a signpost pointing toward Totara Park. Turn left at the sign, and make another left almost immediately when you see the fork in the road just around the corner. Continue walking down the gravel road for a distance. Eventually you will meet the bottom of the original path that goes up to Cannon Point Trig. Turn right and head back toward the Tulsa Point Carpark.